​What can I expect upon arrival at the farm? When you arrive at the farm, you will be greeted by our parking attendant who will direct you to the guest parking area. Please note: our parking attendant is available 60 minutes prior to the ceremony. Please plan to arrive within this window of time. Signs will also direct you to where you should park. ​How do I get to the farm? No matter whether you are driving or flying, the farm is easy to locate. If you would like to printed directions, please click the ​"Print Directions" box below to download the various routes to the farm. 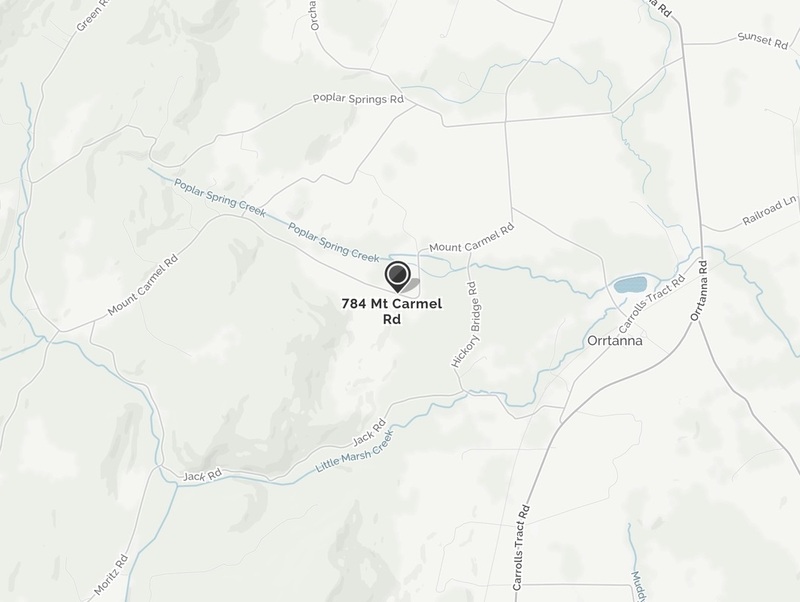 If you are planning to use GPS, use our address: 784 Mount Carmel Road, Orrtanna, PA 17353 to locate us. PLEASE NOTE: When coming to the farm from the East, GPS systems often suggest routes that take visitors out of their way . The directions below are less complicated. If you have any difficulties, give us a call at 717-642-5695. Attire depends on the time of year and the preference of the bride and groom. Please check with the couple about their particular wedding with regard to their preferred dress and attire. Most weddings held at the farm have outdoor ceremonies, so please plan accordingly. Sunglasses, sunscreen and umbrellas are all good to have on hand. Because of uneven terrain, comfortable shoes (low heels or flats for women) are advised. Warm attire might be needed for cool evenings in Spring and Fall.